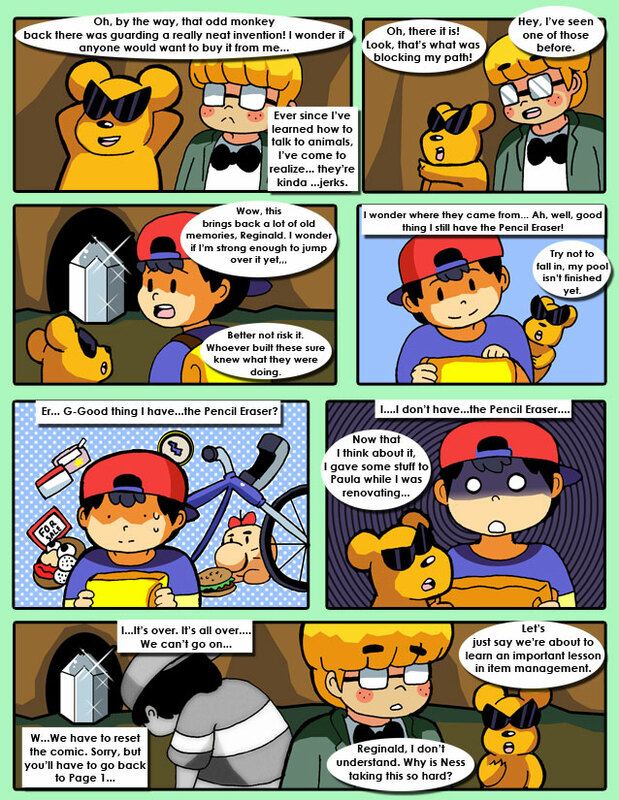 An incredible dilemma occurs as Ness comes to a horrible realization. In order to rescue Paula, he must get the trout yogurt dispenser, but in order to get to the dispenser he has to use the Pencil Eraser, which Paula is holding onto. Well, it's been a fun run, but the comic has to restart now. See you on page 1!